The Dream, the Fish. And a papercut. 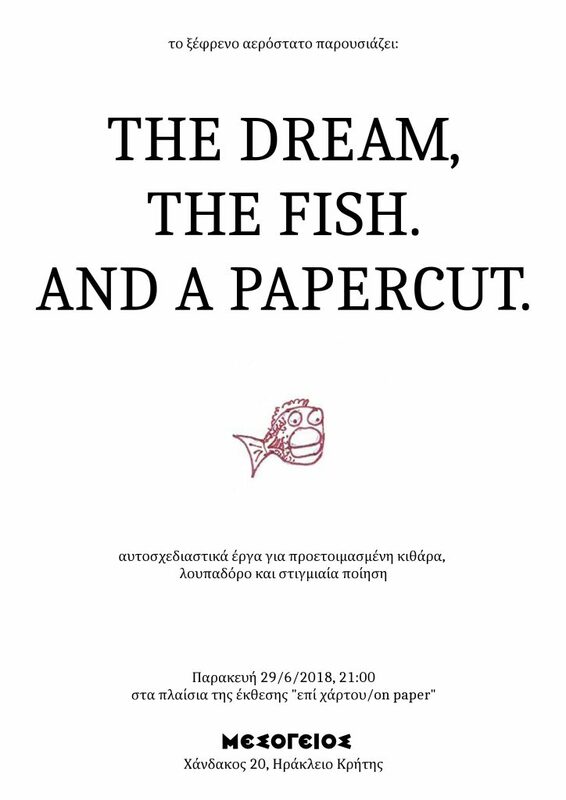 On Friday, 29th June 2018, 21.00 Frantic Aerostat will present a few short improvisational works for prepared guitar, looper, and impromptu poetry in Mesogios, Chandakos 20, Heraklion.